Types of Tarot Card Decks - How to Choose the Right One for You? You are here: Home / Psychic Chat Free / Types of Tarot Card Decks – How to Choose the Right One for You? Choosing a Tarot deck is always incredibly overwhelming whether you are a Tarot beginner or an expert. Why? There are literally many types of Tarot card decks to choose from; each has their own symbolism, energy, mythology, stories, and artwork that can attract you in various different ways. So, where should you begin? How can you sift through the vast array of choices to pick up the right one? To select the perfect Tarot deck, go for the one that feels right. Well, it sounds very simplistic. But just choose a deck that hits you on your both feeling and intuition. Ask the shop owner if they have any sample you can examine. Most of the shops, actually, provide several loose cards for examination. Also, ask friends who read Tarot to tell you their preferences, like what decks they prefer and why. Keep in mind that when looking at different types of Tarot decks, there’s one always catching your attention. 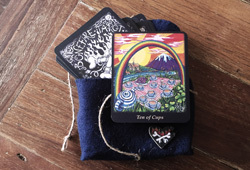 Of course, the absolute best Tarot deck is the one you personally and intuitively connect with. The only one rule when picking out your ultimate deck is – go for the traditional 72 card format. There are several types that have more or less cards; however, the traditional is always best for divine readings. Interestingly, some Tarot decks are related to animals, plants, mythological beings, religion, and more. What are the Popular Tarot Decks? There is no official Tarot deck. In fact, decks come in many different forms, but the standard deck includes 78 cards with 22 Major Arcana and 56 Minor Arcana cards divided into four main suits. The majority of decks are built on this model; thus, you should stick with a standard deck so that you can be familiar with the most common format. Tarot is usually oriented around a certain theme – the image, the name of the suits, and the court card figures all reflect that them. Make sure the theme of your chosen deck has to suit you and have lasting appeal. – An angel oracle deck is inspiring and uplifting. The cards are shown with an angel and a message of inspiration. This is such an excellent starter deck to explore the connection with the other realm. – Another common deck is the Rider Waite, definitely. Every card in this deck regarding symbols from astrology and other magical traditions. As the best tool to work with the readings, Rider Waite is most suitable for intuitive people. – A fan of nature with the interest in understanding the cycle of life cannot miss the Druid craft deck. This one goes deep into the spiritual lore of the natural world. – As a fan of the Greek mythology, you can opt for the Mythic types of tarot decks that are full with Gods and Goddesses. The cards explore how those figures impact a person’s life every day. 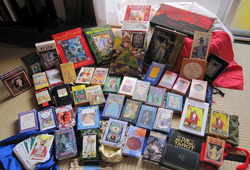 Among numerous types of Tarot card decks, which one makes you totally drawn towards? If you don’t want to use the same deck for all situations, it is okay to change it later on. Yet, be sure the deck you choose has the standard 78 cards. 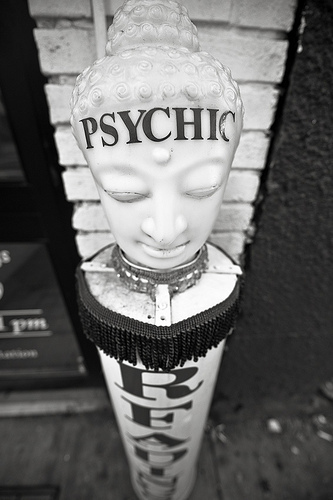 Next article: is there any online Absolute free online psychic readings? How To Read Tarot Cards For Yourself? 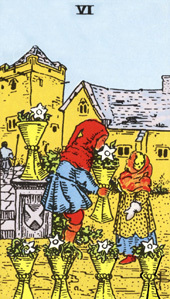 Look at Six of Cups Love – What Does It Means in a Love Reading?